The Inexpensive Sign Supply Acrylic Frames Include Two S-hooks for Linking to More Units! Display Posters, Advertisements, Company Logos in Storefronts! 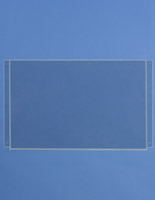 Buy Sign Supply Acrylic Frames to Get More Exposure! 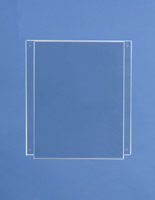 11x17 Clear acrylic frames are precision laser cut for a flawless construction. (2) S-hooks included for connecting to other picture hangers. 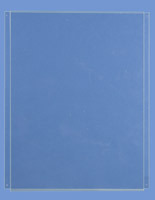 11x17 Acrylic frames can be mounted in windows for storefront advertising. Compatible with KITCH60 hardware [sold separately] for users that need a mounting kit. 11x17 Acrylic frames are the ideal size for advertising in storefront windows! This is especially true when the advertiser wants to exhibit multiple posters in close proximity to each other. 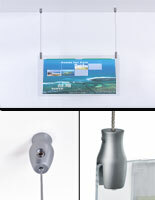 These hanging 11x 17 acrylic frames, also known as poster holders, are specifically designed to link to other hangers. 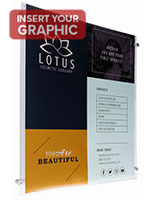 Businesses can buy several of these units, and then link each picture hanger together to form an arrangement of vertically stacked sign holders. 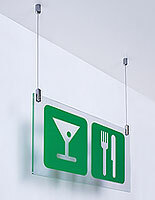 These 11x17 acrylic frames that are suspended from the ceiling come with (2) s-hooks for linking to other units. Hardware for mounting these picture hangers to the ceiling is not included. 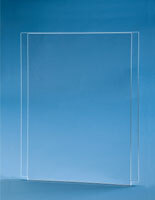 The window 11x17 acrylic frames, called picture hangers, are perfect for advertising in windows facing a busy walkway. Additionally, this sign holder is ideal for placement anywhere a poster might be viewed from multiple angles. 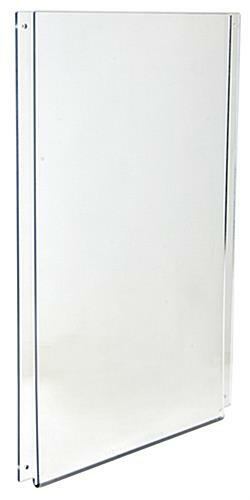 These sign frames that are priced to sell feature an acrylic construction that is 1/8" thick. The material is precision laser cut for a quality, standardized construction. Please keep in mind that these photo holders will only connect to another frame with pre-drilled holes in the same location. Poster advertisements quickly top load into these picture hangers. 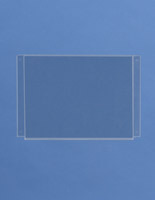 (2) Prints can be placed back-to-back and inserted to turn this frame into a double-sided display. This particular window display offers businesses several advantages over similar units found elsewhere online. What makes this picture holder superior to other storefront advertising fixtures? This photo frame is modular, so users can purchase more units later to expand a previously purchased picture hanger. Additionally, these window displays are far more affordable than suspended sign systems made from steel wire and aluminum. This poster hanger is the ultimate display for businesses in search of an affordable way to advertise in a storefront window! 12.5" x 17.1" x 0.25"